I often get asked about my favorite moisturizes, beauty products, and hair tools so I figured I would start with my skin care favs since this post would be massive if I covered all of my various items that I love. BUT definitely be on the lookout for more posts covering everything from my all-time fav mascara recs, to shampoo and conditioner must-haves. Skincare is so so important, especially as we age. The facewashes, toners, and lotions that worked for you at 14 or 22 may not fulfill the needs that your skin has now. As we age, our sebaceous glands produce less oil which in turn means drier skin. Our skin also becomes thinner, more susceptible to damage, loses elasticity, and becomes more pigmented. Taking care of your skin is a MUST. Start treating it right and you will be rewarded with skin that looks fresh, renewed, and glowing. Keep reading down below for my step by step twice-a-day skin care routine! 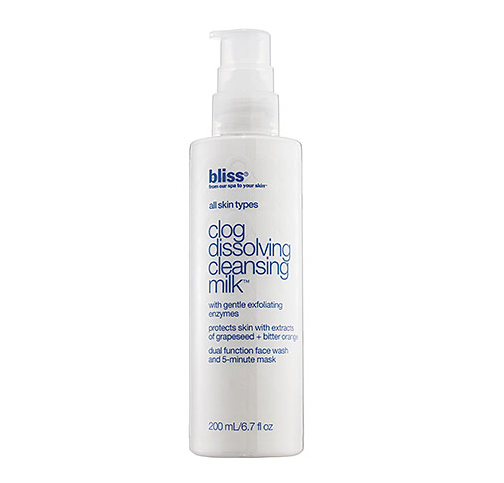 Bliss Clog Dissolving Cleansing Milk – Gentle and cleansing without being drying, this face wash can also act as a quick 10 minute mask. LOVE. 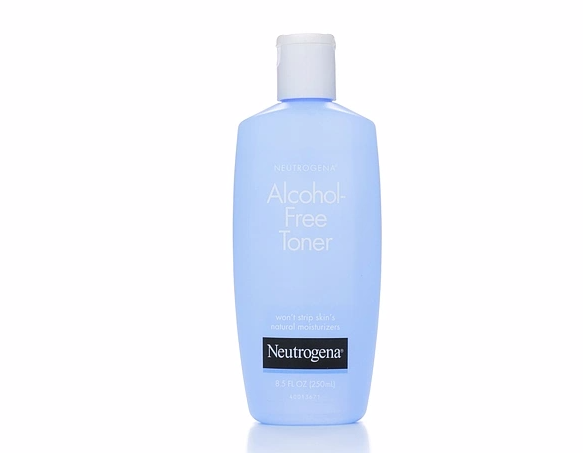 Neutrogena Alcohol-Free Toner – products containing alcohol have a tendency to really dry out the skin, and this alcohol-free toner is far from drying. Plus it’s hypoallergenic and really well priced! Tarte Maracuja Oil – I can not say enough about this miracle oil. 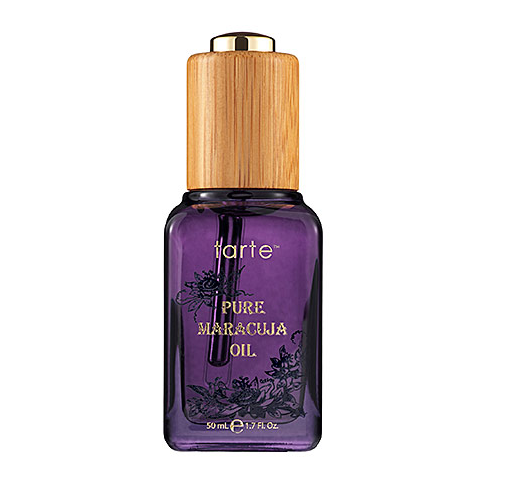 If you look up reviews on the Tarte Pure Maracuja Oil you will see nothing but glowing reports. It doesn’t clog pores or leave you looking greasy, and I love how hydrated my skin feels and looks. It gives you a nice dewey fresh-faced glow. GREAT on those pesky fine lines. 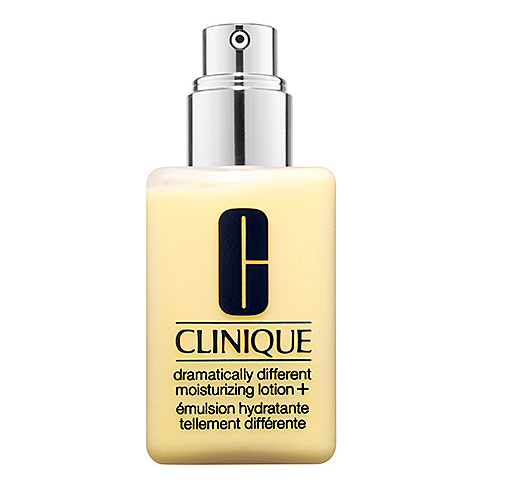 Clinique Dramatically Different Moisturizer – another hypoallergenic lifesaver, this lotion is the ONLY one that I can use without getting some sort of funky rash or dry patches. Fragrance-free and surprisingly well-priced, I will never stop using the Clinique Dramatically Different Moisturizing Lotion. 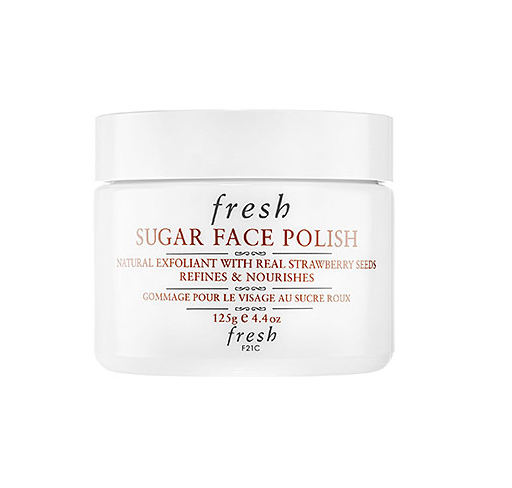 Fresh Sugar Face Polish – What’s better than a face scrub that leaves you exfoliated and glowing? A face scrub that smells like brown sugar and strawberries. This natural face polish contains ground strawberry seeds and plum and grapeseed oil, all natural ingredients that when combined create on killer face polish. I use it two to three times a week in the shower and then leave it on for a few minutes to let the steam from the shower penetrate my pores. GlamGlow Thirsty Mud Hydrating Treatment – Masks and I generally do not mix. Most things that stay on my skin (aside from my lotion) more than ten minutes leave me itchy, dry, and blotchy. This mask from Glam Glow is out of this world. Free of nasty parabens and sulfates, GlamGlow gets its’ hydrating power from coconut, raw honey, and ginger root amongst other rad active ingredients. 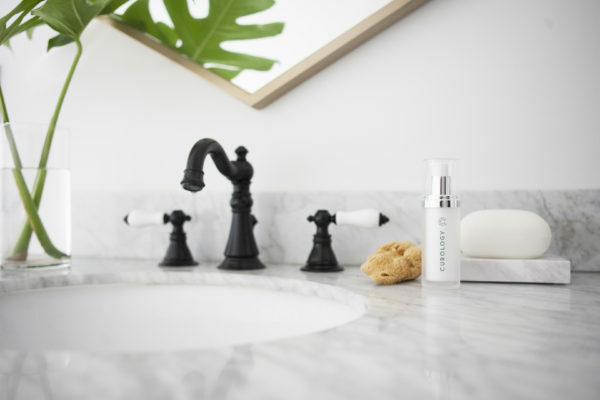 Leave it on for 20 minutes or overnight (I do overnight) and when you wash your face your glowing, hydrated skin will thank you. 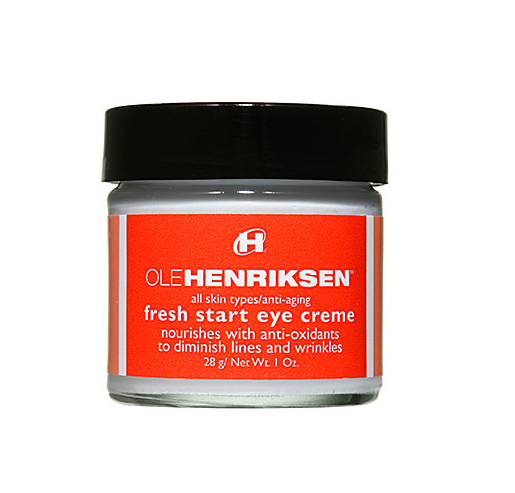 Ole Henriksen Fresh Start Eye Cream – Ever since I became a mommy, my eyes went to crap. Seriously. 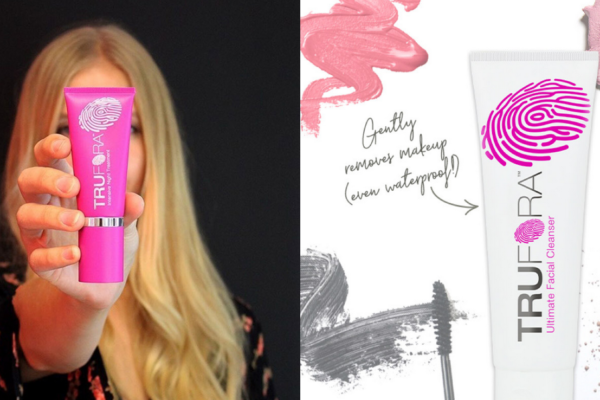 Fine lines, not-so fine-lines, dark circles, puffy undereye bags, you name it, I got it. This Ole Henriksen eye creme is an eye-saver. Keep it in the fridge for extra de-puffing power or put it on at night and let it work its’ magic. Love it. Great buy. Laura Mercier Ambre Vanille Souffle Body Cream – This lotion is not related to face care, obviously, but it is far too amazing to wait to share with you guys. 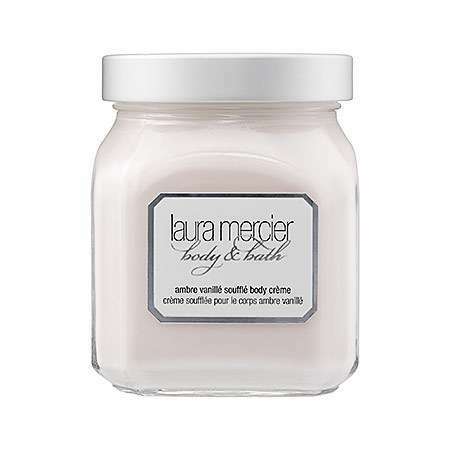 Some years ago I tried Laura Mercier’s body souffle line and fell in love. Sadly, they discontinued my favorite scent and so I stretched that tub of moisturizer as far as I could. I ordered three of their different scents recently to figure out my new favorite and OMG the Ambre Vanille is OUT OF CONTROL. Like, if you buy one thing in the world, buy this. I get complemented daily and the scent lasts like 24 hours. It’s not cloyingly sweet or overpowering, it’s less vanilla and more spicy. Honestly, you don’t need perfume if you wear this. It’s so ridiculously incredible. A must-have. I wash my face every morning and every night. I firmly believe that washing your face at night is incredibly important-you need to get the dirt, grime, oil and whatnot off your face before you go to sleep. Sleeping with a dirty face is asking for problems. I start with my Bliss Clog Dissolving Cleansing Milk, and two to three times a week I follow up the facewash with my amazing Fresh Sugar Face Polish for deeper exfoliation. I then apply Neutrogena Alcohol-Free Toner to close up my pores and tighten and moisturize my skin. Once toner has been applied I IMMEDIATELY put on the Tarte Maracuja Oil. I emphasize ‘immediately’ because it is important to lock in the moisture on your skin and putting on a moisturizer and/or oil does just that. Once I have applied the oil liberally on my face (concentrating on trouble spots like the fine lines around my eyes), I put on the Clinique Dramatically Different Moisturizer. I finish my routine by dabbing on some Ole Henriksen Fresh Start Eye Cream and voila! I’m done. 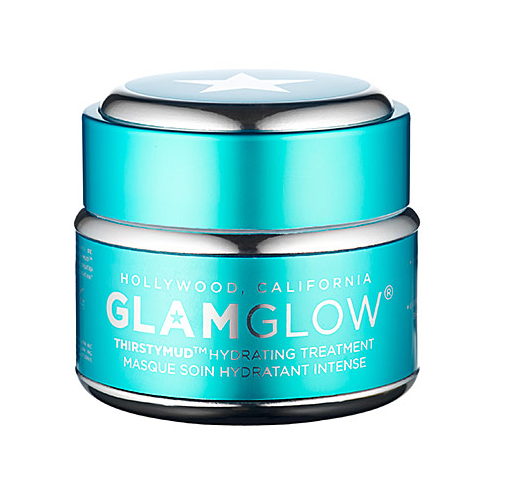 A few times a week at night I will use the GlamGlow Thirsty Mud Hydrating Treatment as a mask and sleep in it overnight for extra moisturizing. Granted nothing replaces a shot of botox to the forehead but that’s another post. Happy Friday!!! HAH! 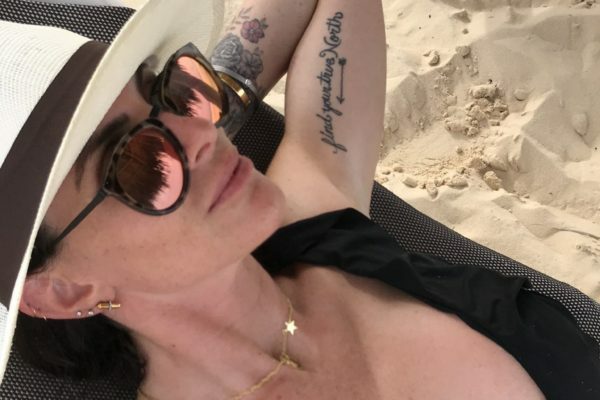 I love the botox reference at the end and now I want to read your thoughts on that! I am so tempted by that eye cream, I have a baggy/dark under eye circles problem and haven’t known what the heck to do about it. Ahahah i will have to do a post on my thoughts regarding fillers and whatnot! Just bookmarked this. I need to convince Sasha that I need all of these products! 🙂 Especially the Ole Henriksen! Ohhh girl they are the best, seriously! I am a skin fanatic and these are the best of the best! The Tarte oil is my absolute fave!